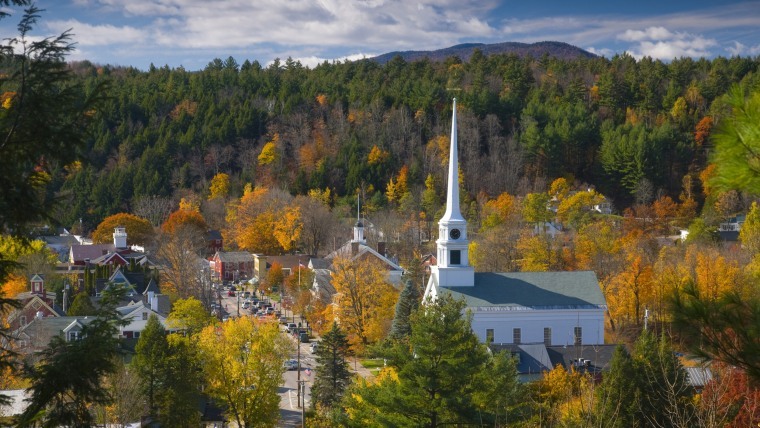 No matter when you visit, this character-filled New England town has enough alpine charm to flood an Instagram feed. But it's especially vibrant during winter, when skiers and snowboarders come to tackle the miles of trails that crisscross Stowe Mountain Resort's Mount Mansfield (Vermont's tallest mountain) and nearby Spruce Peak. Stowe gets more than 300 inches of snow annually, and many consider it the northeast's best skiing. The scenic, five-mile byway known as the Stowe Recreation Path is open to cross-country skiers, snowshoers, cyclists, walkers and joggers. It connects the village to the Top Notch Resort on Mountain Road, winding across wooden bridges and past pretty picnic spots, and it's a great way to get a feel for the area when you first arrive. During winter, the ice rink at the Spruce Peak Village Center is a nice option for kids who are feeling a little skied out. For serious skiers wanting to maximize time and minimize schlepping, the ski-in, ski-out Stowe Mountain Lodge has an ultra-convenient location right at the base of Spruce Peak (spend a week here and you'll wonder how you ever skied without valet service). Rooms are on the splurgy side, but have gas fireplaces, kitchens or kitchenettes. There are a mix of layouts to choose from, most of which can accommodate at least four people, and those looking for a strong après-ski game will be happy to know that the heated outdoor pool is open year-round. The Stowe Motel & Snowdrift is located on the town's shuttle route, and within easy reach of both the mountain and village. Accommodations include classic motel rooms, suites with kitchenettes, apartments and freestanding rental houses. Sundaes and giant milkshakes (called frappes) are the main attractions at the 1950s-inspired Depot Street Malt Shoppe, which is set in one of the village's classic wood-frame houses and also offers basic diner fare like sandwiches and burgers.